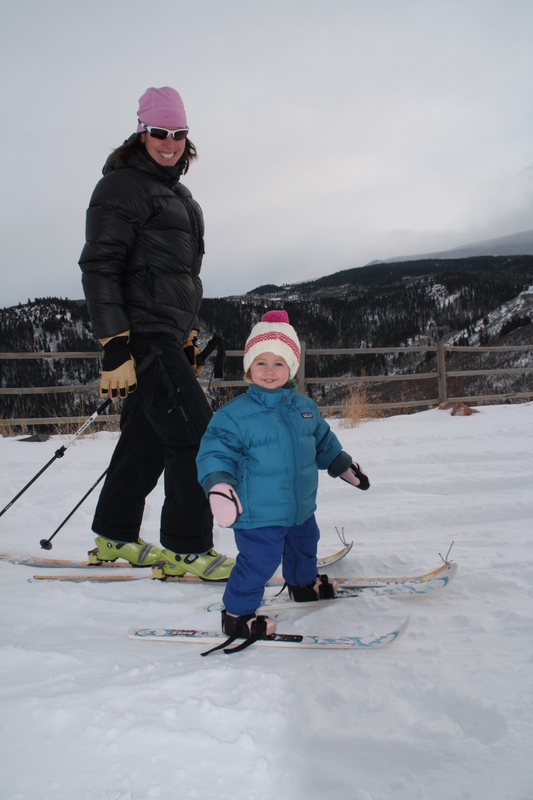 Although I’ve been able to get out to ski for the past few days – a tour through the neighborhood, No Name in Marble and then Snowmass today – I think my favorite thing the last few days was skiing with Juniper on her new cross country skis. It is amazing how fun it is to watch her fall in love with all the things Ian and I love to do so much. While my parents are in town, Ian and I took advantage of the babysitting and made a quick trip up to Marble yesterday for some backcountry skiing. 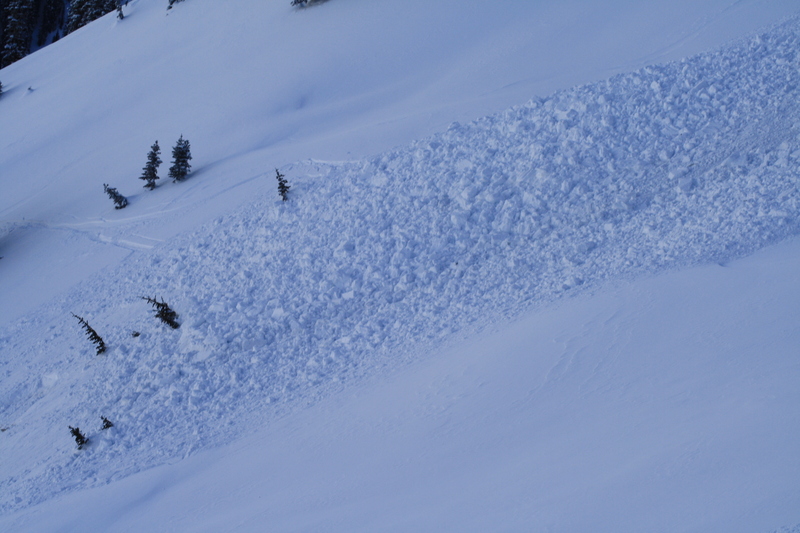 We have not had any new snow in a while but have had some wind so some aspects have considerable avalanche danger. While Ian and I were very confident in our line, we watched a group just next to us set off a slide. 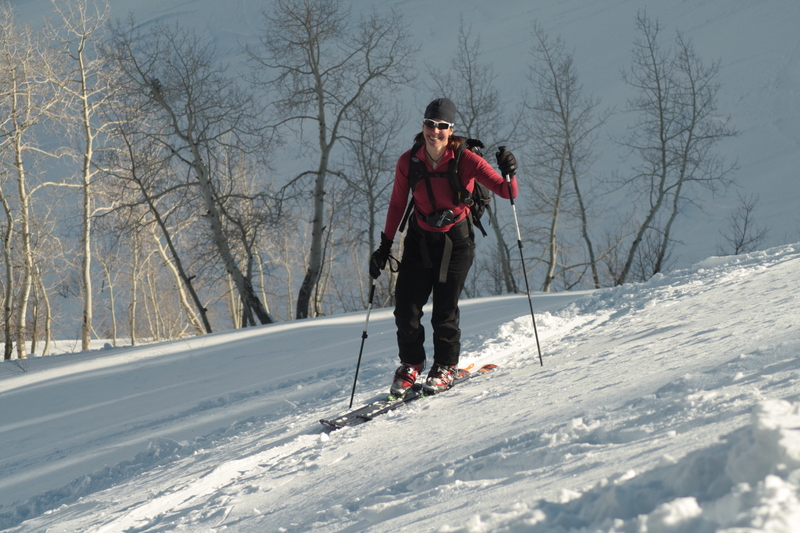 The first two skied the line but the third person set it off – a good reminder that it doesn’t mean it’s safe just because someone has skied it. 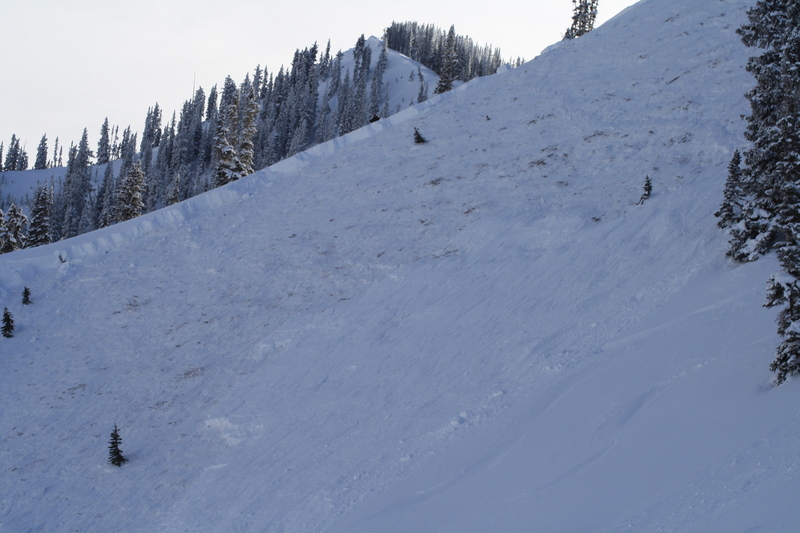 Thankfully, everyone was totally fine and the skier was able to hike back up and ski our much safer line. 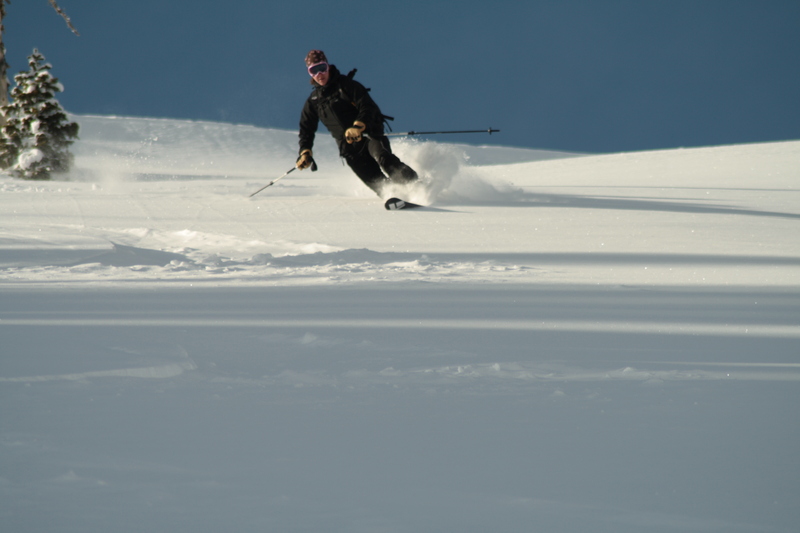 Conditions were not perfect, nor was my skiing, but it was great to get out for some exercise with Ian! Also, I have to say I was pretty impressed with my prototype Polartec Power Shield Pro jacket. I wore it on the ski down and it stayed completely dry despite a couple of pretty good crashes in deep snow, but it also breathed well enough that I didn’t overheat during some aerobic route-finding on the way back to the car. Top of No Name had some great snow. I was standing on the ridge when a skier to my right triggered this slide (you can see him in the center of the frame above the slide crown, click photo to enlarge). Thankfully everyone was ok, but it was definitely not how I wanted to start my descent. glad everyone was okay and especially that you and I weren’t caught up in it. good reminder for everyone to know where to go when back country. happy new year we look forward to meeting the new one and seeing you back in action.